Once upon a time, we weren’t building a house and I had one baby instead of two. I had time to sew things for other people and sell them. 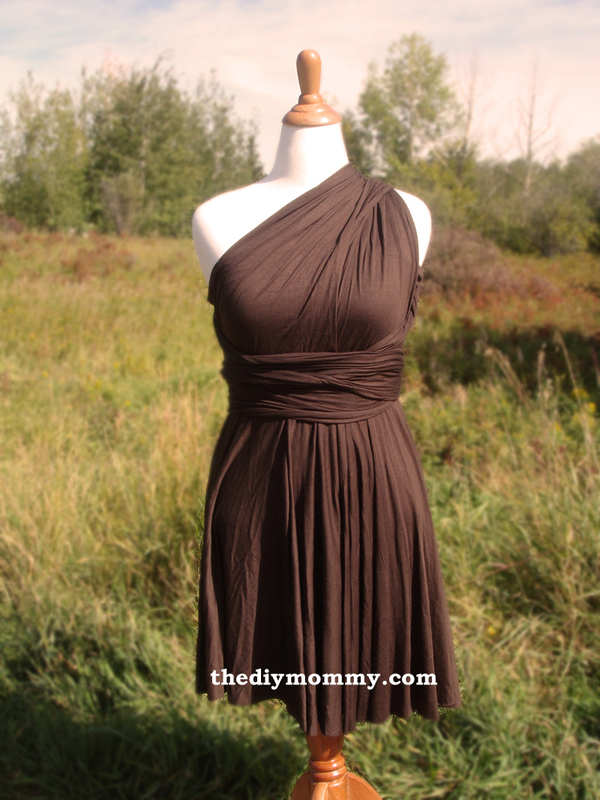 One of my most popular creations was what I called “The Venus Dress” – a knit jersey dress with two long straps that could be tied around the body in numerous ways for tons of completely different looks. This style of dress is often called an infinity dress or convertible wrap dress. What made my design unique was that it had a built-in tube top that made it so much easier to wear than the others that were available. It was easier to tie the straps and not worry about body parts peeking out. 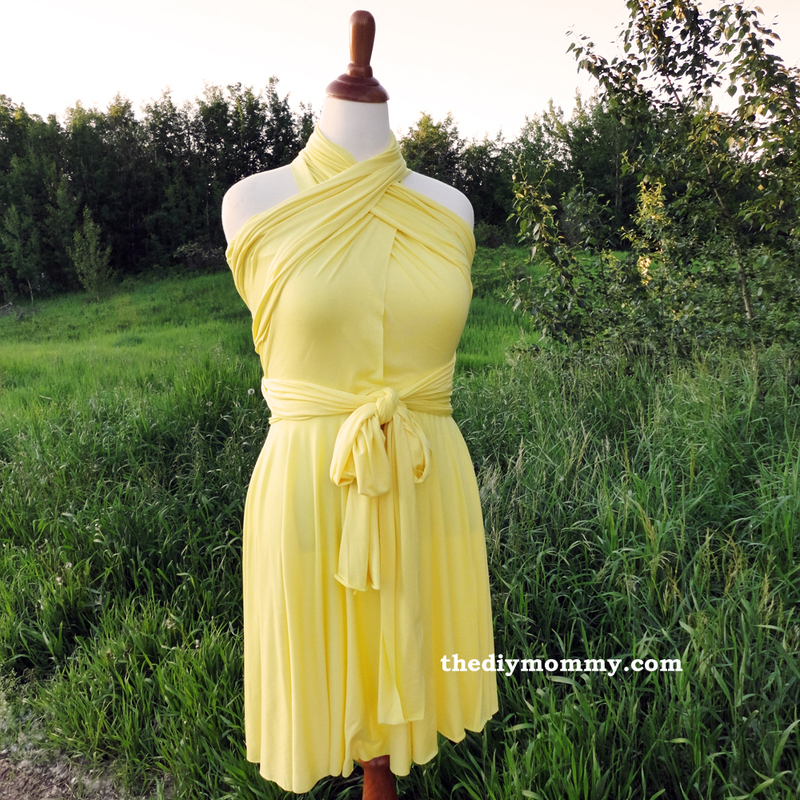 This is a great dress for spring – you can get so much wear out of it. 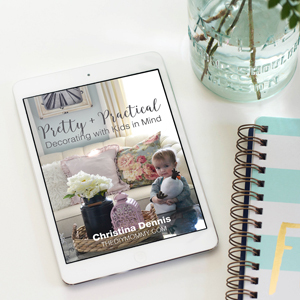 It’s also a fabulous design for a bridal party! Every bridesmaid can wear it differently to suit their personal style. 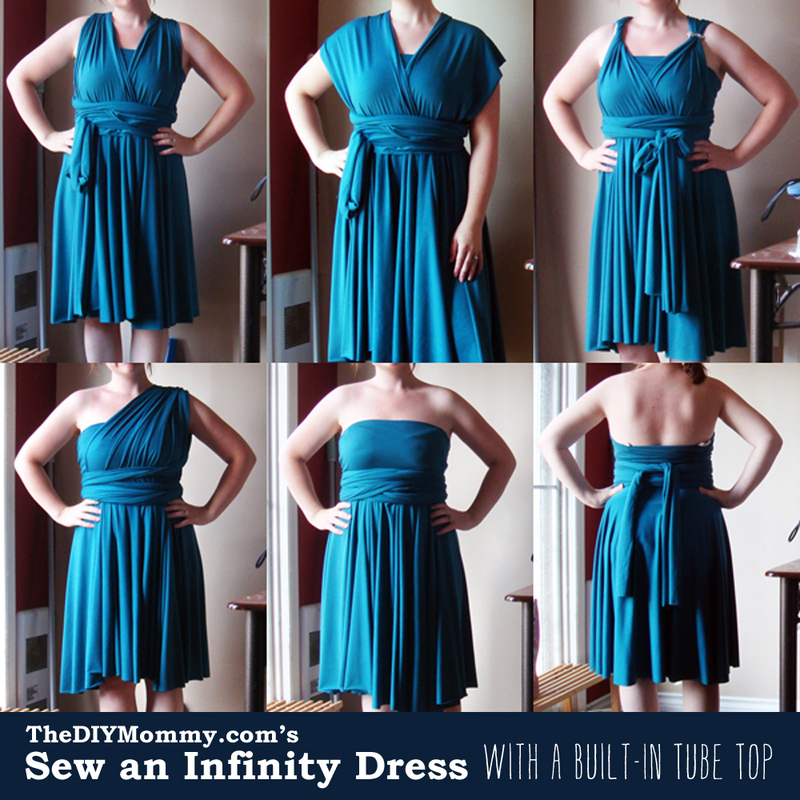 I want to share with you how to make my infinity dress with a built-in tube top today! It’s simple, but you’ll need a lot of fabric and a lot of patience for cutting. Ready? Fold the jersey in half lengthwise and carefully meet the ends & smooth it out. Using a cutting mat beneath the fabric (I slide it along as I go), a hard ruler and rotary cutter, cut off at least an inch from the salvedge edge to get rid of it – you want nice smooth edges. Cut as straight and clean as possible. This will be a finished edge for your straps! Cut two pieces in the same manner that are approximately 12″ wide by 60″ long. These will be your straps. Since your fabric is folded, you should only have to make one more cut to create the two pieces. To make the skirt, cut a piece of fabric that is the full width of the fabric by about 60″. Fold this piece in half, and then in half again so that you have a square piece. From the doubly folded corner, cut a quarter circle that starts about 5″ from the corner as shown. 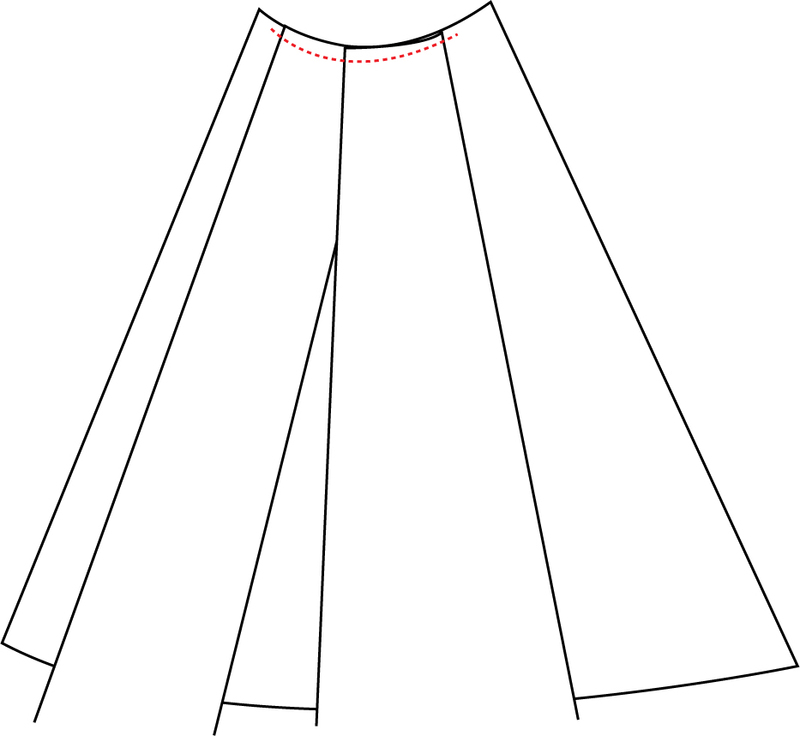 Then, measure from your waist to where you want the skirt to hang and cut another quarter circle that’s that distance below the first small quarter circle, as shown. To make an even curve, I wrap my pen in one end of a string or soft measuring tape, hold the other end of the string at the corner, and draw the curve. The dresses I made always ranged from about 20″ to 25″ for this measurement to make a tea-length dress. To cut the tube top out, measure your bust and then subtract 5 inches. Divide this measurement in half. Cut out two squares from the knit jersey that are 24″ long by this measurement wide (the cuts don’t have to be straight – these will be sewn). Baste one end of the straps to the skirt waist as shown. 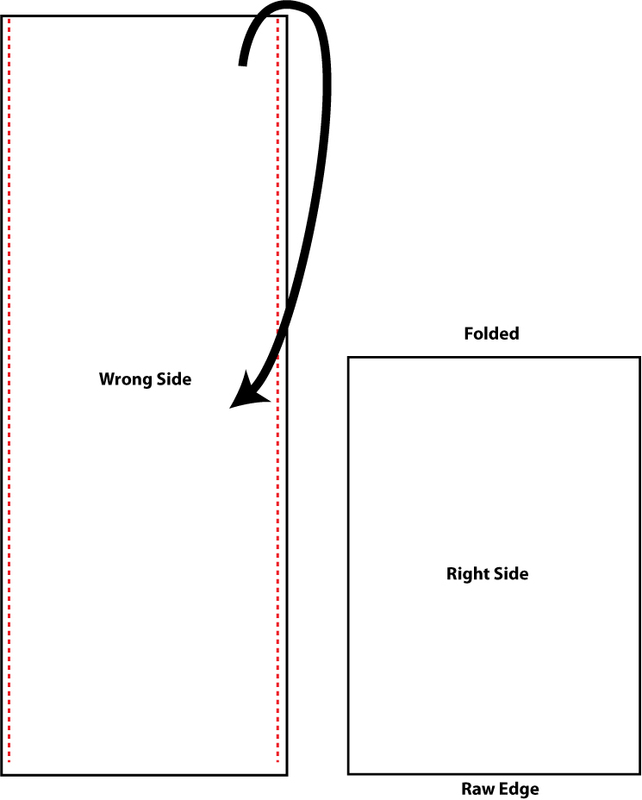 Overlap them about 2 inches and ensure that their right sides are against the right side of the skirt. Only sew through one layer of the skirt! Match the side seams of the tube top with the sides of the skirt and pin. You may have to pull the tube top to match the skirt opening or vice versa. Sew everything together using a 1/2″ seam allowance. I love to use my serger for this seam, or you can use a regular machine and finish with a zigazag stitch. What’s your favourite look? Ready to sew one? Thank you, Julie. I love jersey too. It’s so forgiving and incredibly comfy for a mom on the go! Wow, that dress is stunning and I am beyond impressed that you MADE it! I wish I could sew. 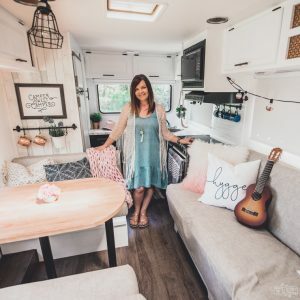 Maybe I can convince my MIL to make this for me!! 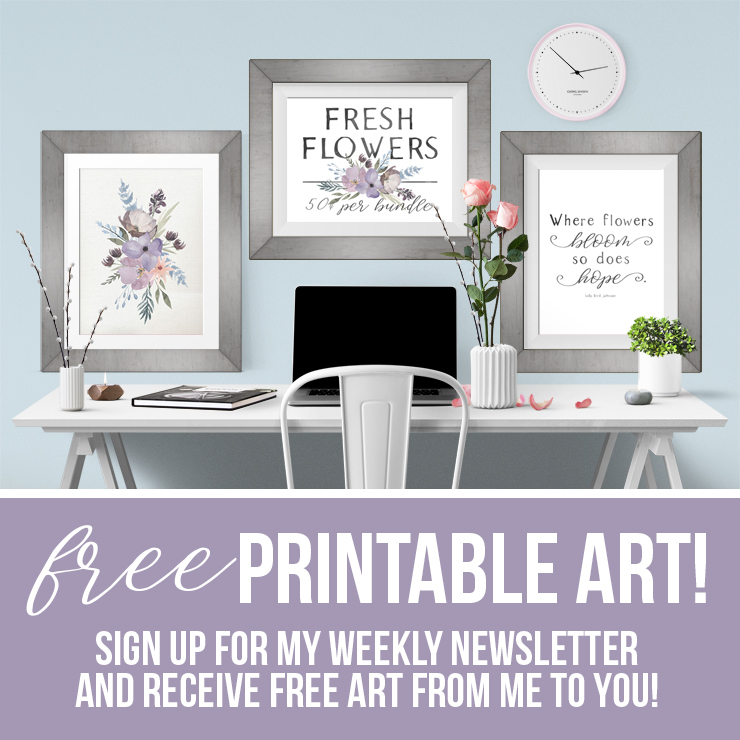 I will share the link just in case! Thanks, Nicole! There’s not a ton of actual sewing in this one, so it’s not too tricky. There’s lots of cutting, though, so if you or your MIL has a rotary cutter it makes it quite easy! This is gorgeous! And I love the idea of the built in tube top so the girls are a little more secure! Love this, so need a sewing machine again. 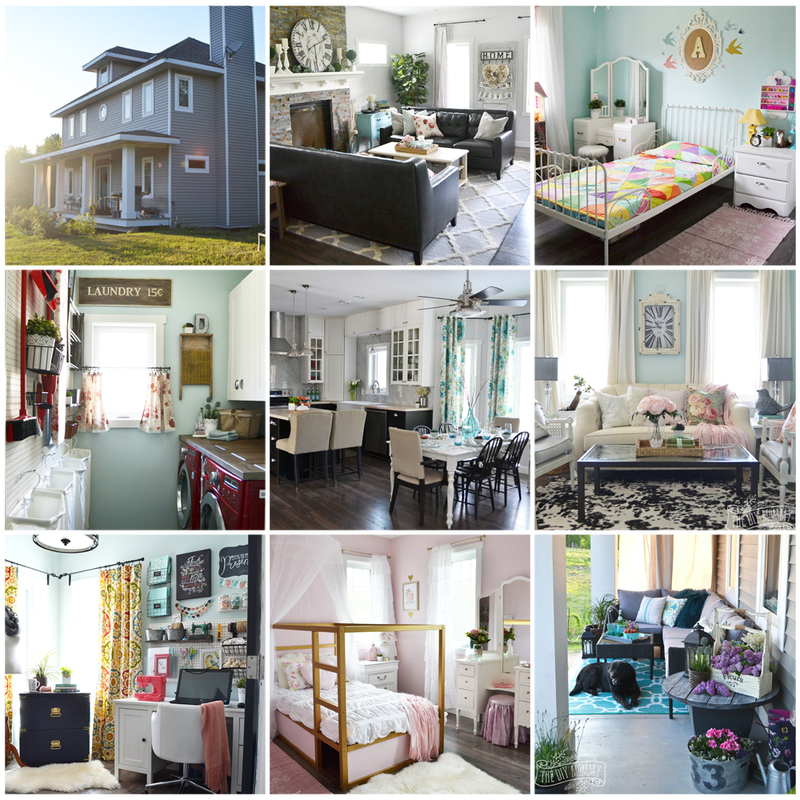 Hollie recently posted..What Does $100 Buy At Walmart Canada? Thanks, Hollie! Yes, sewing machines are really fun to play with. Thanks so much, Aeryn! Yes, it’s pretty straightforward to make. It’s super flattering too! Thanks so much for popping by. I definitely want to make this dress! 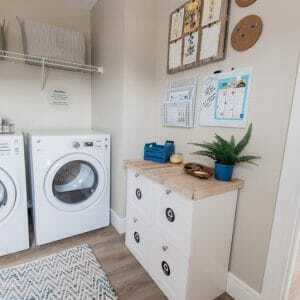 Do you need a serger to sew the jersey fabric nicely? You don’t NEED a serger because the jersey shouldn’t fray, but I sure love the quick finished edge a serger gives. Mine is sad and sitting on my floor until I buy New desk for our office, so you’re welcome to borrow it for a bit if you want! Thank you so much for this tutorial! I hope to make several of these dresses for myself. A quick question- when attaching the tube top to the skirt, what stitch do you use so the jersey can still stretch and fit snugly around the waist? I’m fairly new to sewing, and don’t have a serger unfortunately. Thank you so much for this fantastic, modest tutorial! Your instructions were easy to follow. I had one problem though. When I tried the dress on, the straps were too short to do anything but the simplest of styles. 🙁 I was so sad! Now I’m trying to brainstorm a way to extend the straps without making it look obvious because the dress itself is perfect. Hi Tabitha! You’re so welcome. I’m glad you found it easy to follow! I’m sorry the straps didn’t turn out as long as you would have liked. 🙁 Did you use very stretchy knit fabric with some spandex in it? How did you calculate the length? (Just so I know what I should change on this post!) I’m wondering if you could attach more fabric to the ends of your straps using a diagonal seam to make it less obvious. Or even some stretch lace or a contrasting fabric to make it look intentionally colour blocked might look night. Thanks so much for sharing! 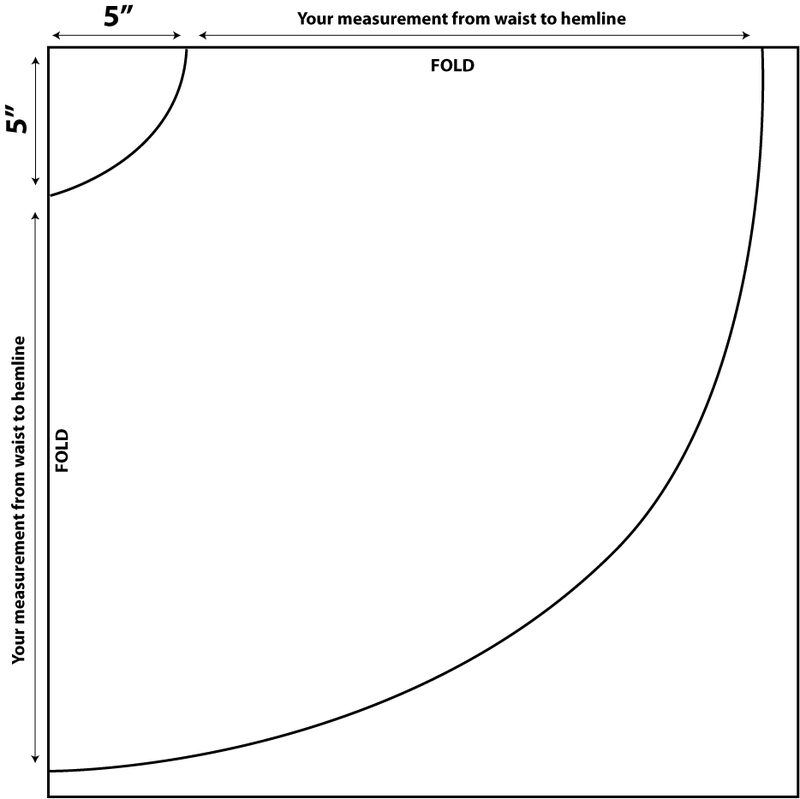 For the 5″ cut on skirt waist… What size is that for? I wear a size 8 (36″waist? will that be too big of a hole or ahould i go smaller? Is there a way to figure what suze hole to cut for waist? Hi Kelly! The skirt waist size doesn’t really matter because it will stretch to fit the tube top (or the tube top will stretch to fit the skirt waist). 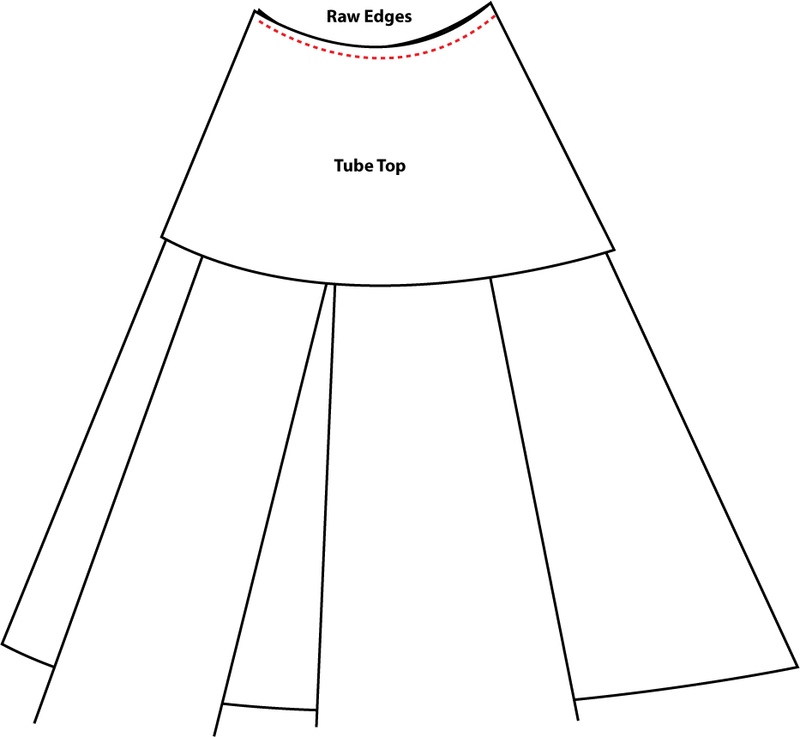 When you sew the skirt to the tube top, just make sure you pin them well at the side seams and centers so that you know which piece needs to be stretched to fit. I hope that makes sense! I’m wanting to make this dress but the drawings and directions have me a bit confused. First, are you suppose to lay the skirt portion out flat before attaching the straps & tube top pieces? Second, where exactly are you suppose to line them up to? Third, will this pattern and yardage work for a plus sized dress too or do I need different measurements? Your dress a is really very awesome and i like the thing that it is convertible and this feature is most important part of this dress that we buy only one dress with infinite styles.the color of this dress is very amazing . Christina is so happy that she is able to help you out 🙂 Happy sewing! Yours is the only tutorial that I can find with a tube top, but I am not understanding the tube top instructions. Hi there, do you have any diea how to do this with less fabric in the skirt (more of an a line look, less pleated). Thanks so much! How about altering the pattern for length? I am going on a cruise and considering this as a one size fits all occasion type dress, given that I can do different things with the top on different nights of the cruise. If I wanted to make a longer version, think formal gown rather than cocktail gown, how would I go about doing it? Thanks! The dress is gorgeous! Hi. Can you help me with the infinity dress how to fold the skirt to be a full sirkel. My waist are 107 cm and the length of the skirt must be 120cm long.